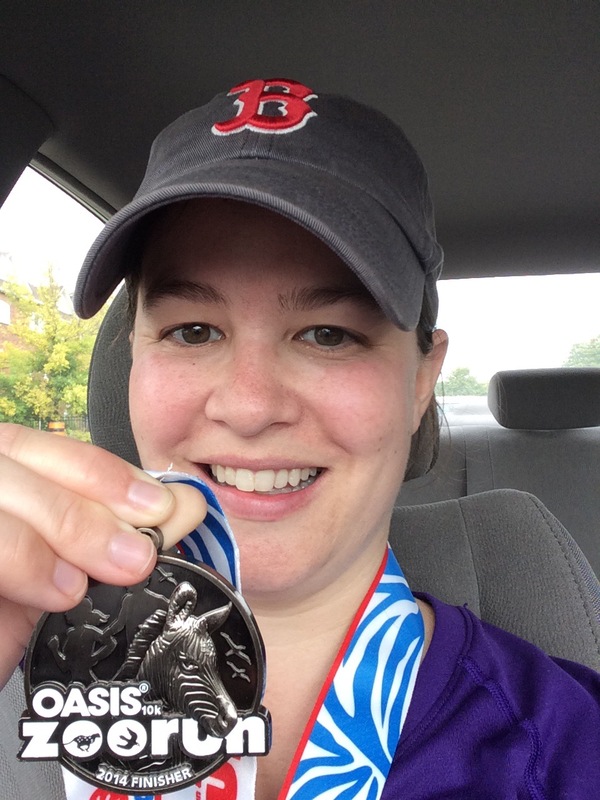 So this weekend, I rocked a 10k race!!!!!!!! I was a part of the run at our local zoo, and I’ve been training for this all year — it was my goal race of the year, and I am so proud to say I did it! The course was supremely hilly (as I found out when I did my first 5k there last year), so I’ve been doing hill training, which REALLY helped! 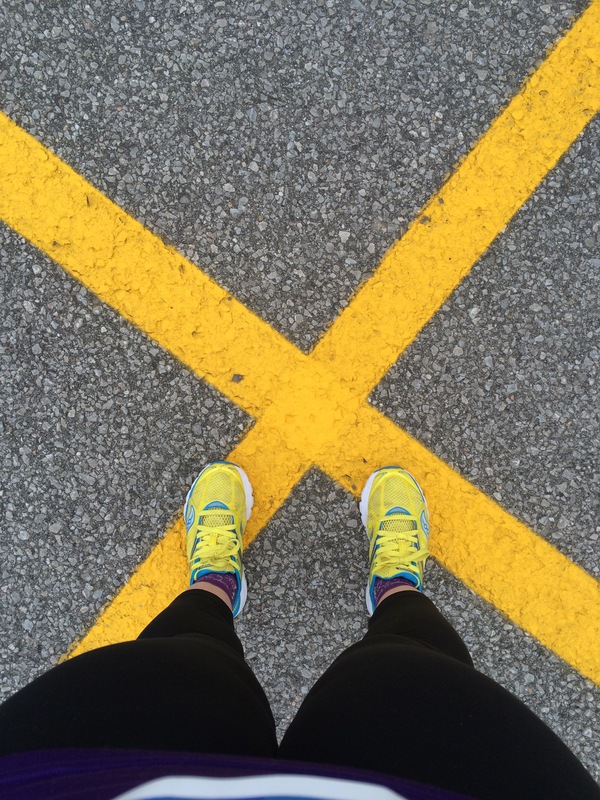 I started out apprehensively… there was a time-cutoff at the 6k mark. And if you were too slow, they’d send you home. AND… it was right around my usual time for 6k. So I knew I had to hustle. So off I went, confidently running just-faster than my usual pace, facing the hills, and doing my best at run/walking all the way to the 6k cutoff. AND I DID IT!!!!! Not only did I make it, but I made it with a few minutes to spare, although I did see the race official standing there with a stopwatch and a clipboard. AHHH! Then I had no worries about completing the final 4k, so I enjoyed the rest of it — gorgeous trees starting to turn colours for fall, running past slightly-confused zoo animals (including the cutest Arctic fox!!! ), learning that flamingos pee on themselves to cool down, and checking my GPS watch much-less-obsessively. My favourite moment was shortly after the 6k mark, where I ran past a crowd. As I was running on my own, they all cheered for me! And as my race bib had my name on it, they were cheering my name for me!!! It was such an amazing experience — I’m used to people clapping for my opera performances, but never for my running!!!! What a hoot! And Mr. KitchenOperas came to support me as my chauffeur and personal cheering squad. He parked himself just where I needed him (TWICE!) — once with my favourite animals: the llamas, shortly after that 6k stress-mark! All in all it was a great day, and I am now trying to figure out my running plans for the next year. 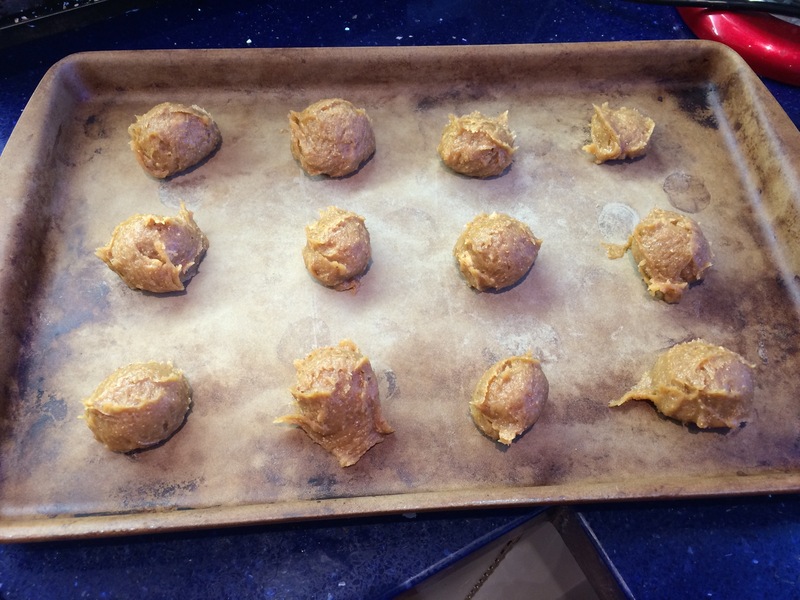 With all the running, I’ve been trying to plot treats that are more protein-filled, which ties in nicely to this week’s theme for Vegan MoFo: Treats & Snacks for Fuelling Your Body! 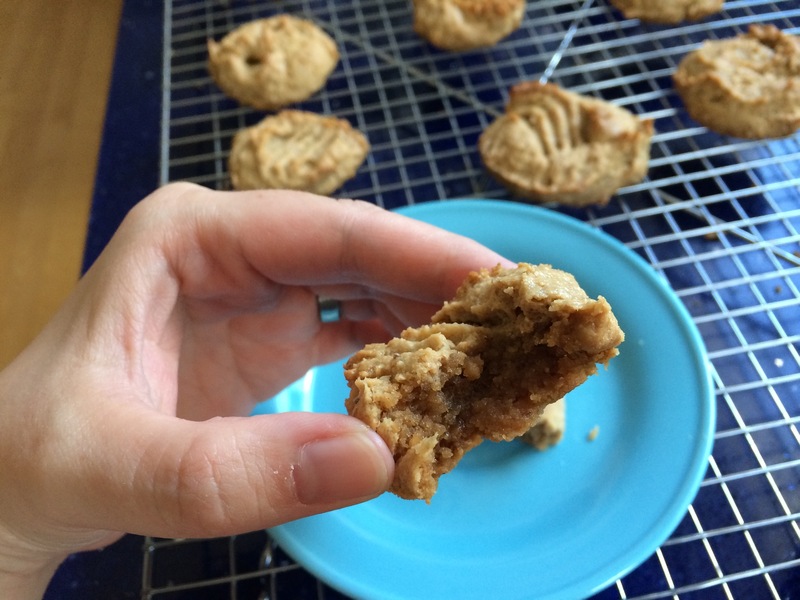 I am a cookie fanatic, and keep seeing recipes all over the internet for flourless peanut butter cookies (like these ones!) but they use honey and eggs, so I thought I’d try a vegan version! We don’t keep peanut butter in the house (as my sister has a peanut allergy), so I used cashew butter, which I had on hand. Mmmm. I think any nut butter would work well in this recipe. 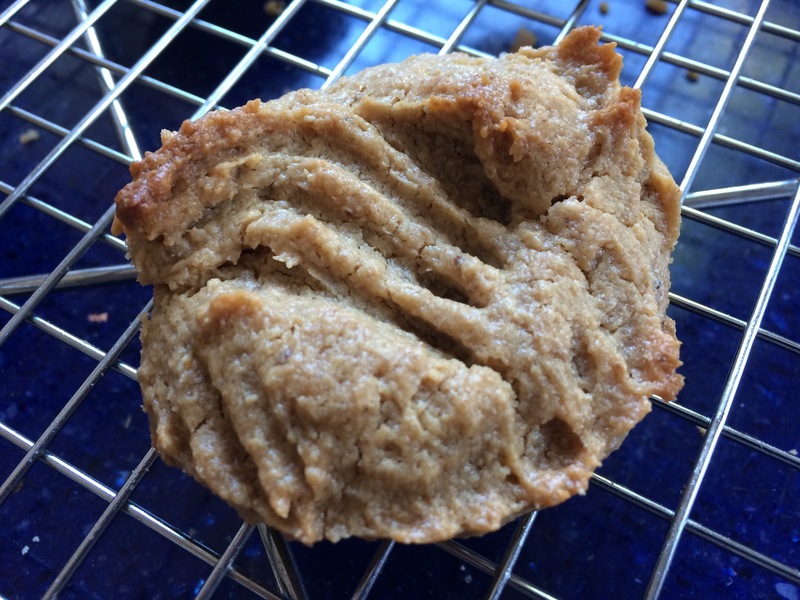 I was intrigued to discover what the final texture would be, without using any flour, and I was pleasantly surprised — they’re like a peanut butter cookie. And they’re really delicious warm. They bake up into soft, puffy pillows of cashew and maple goodness. Next time I’m adding chocolate chips. Mix together a “flax egg”: In a bowl, whisk together ground flax and water. Set aside for 15 minutes, this mixture will gel up. In a separate bowl, stir together all ingredients with a spatula (cashew butter, maple syrup, baking powder, salt, and “flax egg”). Drop by heaping tablespoon (or ice cream scoop) onto a parchment-lined baking sheet. Bake at 350F for 18-20 minutes, until the cookies are quite firm and begin to go golden-brown. Remove from the oven and let cool for 5 minutes, then transfer to a wire cooling rack. Enjoy warm! Yum! 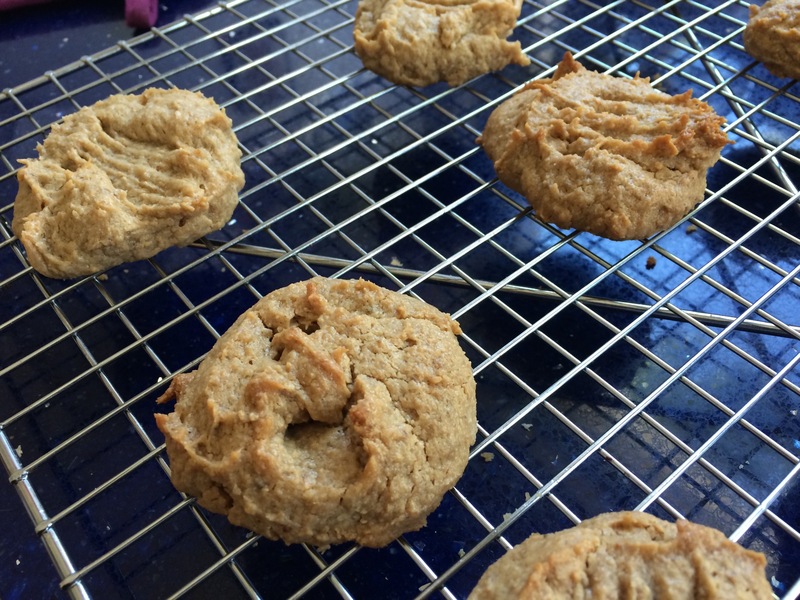 These look great – I love cashew butter. Congrats on the race! These are like a cashew-butter-explosion in your mouth. So good! First off, congratulations on the 10K! I’ve been training for one and hopefully will have a chance to run in early next year. Second, those cookies look awesome, I can’t even tell they’re flourless! I love everything about this recipe, especially the use of maple syrup. I have to wonder how this would work with sunflower seed butter, too, as that’s my latest obsession. Try the sunflower seed butter out, and let me know how it goes! I would keep the proportions the same, and they should be GREAT. You may just need to adjust your baking time. Keep an eye on them in the oven. As soon as I read this one, I knew I *had* to try baking them. Except I only had about 2/3 cup of cashew butter left in our fridge (thanks to a certain hungry husband of mine). So I had to top it up with 1/3 cup of peanut butter. Used flax meal instead of grinding flax seeds. 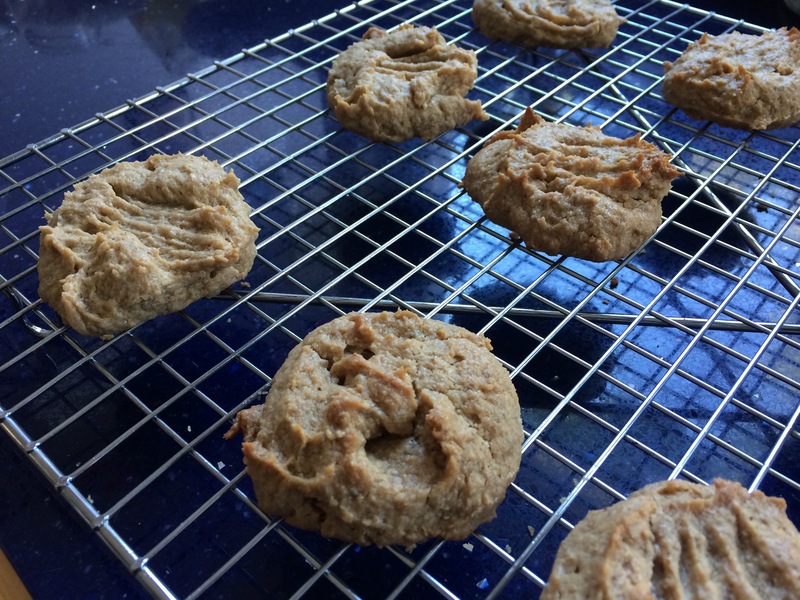 They still came out with that burst of cashew flavour that’s clearly the greatest part of these cookies – and it was so quick and easy to whip up! Got about 9 cookies in all (you said “heaping tablespoons”, right? 😉 ). 8 went to a family we’re friends with who have 3 kids (one a newborn) as part of a care package. So glad that these worked out for you, and that they got the husband seal of approval!!!! It’s not very common, but they had to clear that part of the course because it overlapped with the 5k course, that was starting later. YUM! What a great idea! These sound so good! And congrats on the race! The Toronto Zoo is pretty rad — running through it is even more awesome. Making these ASAP. Let me know how they turn out — and thanks!!!! !